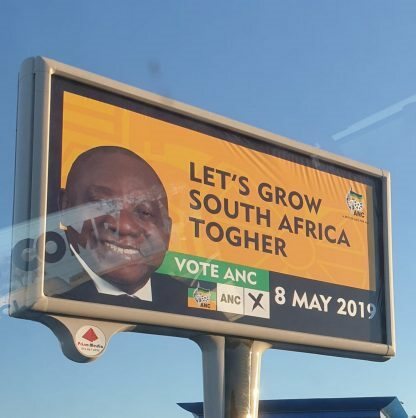 According to a DA councillor’s photo, in Nelson Mandela Bay the ANC wants to do more ‘togher’. NATIONAL NEWS - DA councillor and well-known YouTuber Renaldo Gouws on Monday evening shared a photo of an apparently bizarrely misspelt ANC billboard in his hometown of Nelson Mandela Bay. He said in an accompanying caption that there were “many” such billboards that had popped up around Port Elizabeth that day. Somehow, the designers seemed to have omitted two letters, spelling “together” in a way previously not seen in the English language. Gouws won a by-election with the DA in Ward 2 in Nelson Mandela Bay in March and regularly discusses politics and current affairs on his YouTube channel. National and provincial elections in South Africa are now three weeks away.